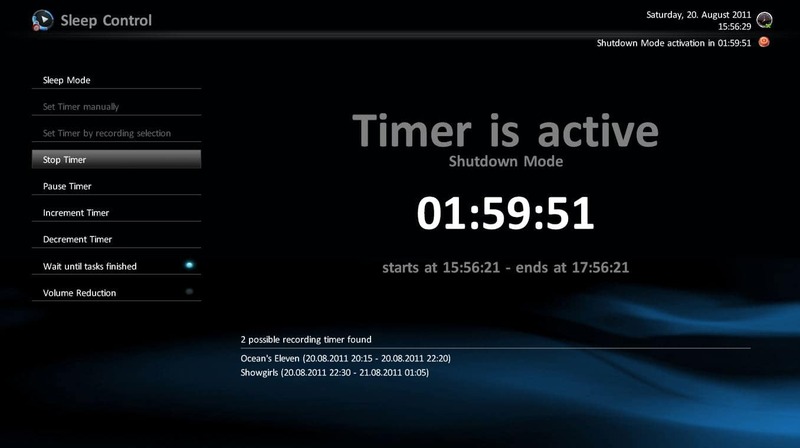 SleepControl is a MediaPortal plugin to shutdown, hibernate or restart your computer after user defined time periods or planned recordings. This plugin requires some installed MediaPortal TV Server libraries. If you do not have a TV Server installation, please install the required libraries manually.